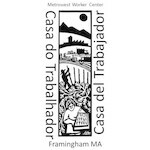 Metrowest Worker Center hasn't added a story. A young man arrived as an unaccompanied minor and lives with extended family. MISN helped him get enrolled in high school, which also makes him eligible for free legal representation at Metrowest Legal Services. MISN contributes to his monthly rent so that he doesn't have to work full time and can be in school and has offered tutoring support. Martin needed bond and initial help with legal fees after his employer turned him in to ICE following a workplace accident in which he was badly injured. His family of 5 kids and wife needed emergency support to keep a roof over their heads following his detention. He is home now, has strong legal support, permission to work and drive and has applied for a visa. His middle daughter tells the story of his detention and our community support in the book "The Courage of Children, Boston and Beyond." A dad arrived from detention having just been reunited with his 5 year old daughter. They had nothing. Folks rallied to find then housing, clothing and meet basic needs while they settle in. Your donations make a HUGE difference. Together we can counter the hate and official policies that tear families apart. Together we can provide the support (rides to meetings with lawyers in Boston, to ICE check ins, to pay bond, etc.) to mitigate harm and to hold the system accountable. Please give what you can to the Neighbor Fund. We use your donations as they come in, so the need is ongoing. Last year we raised over $25000 for immigrant neighbors in crisis. Let's see if we can do even more this year. We know the need is huge. Metrowest Worker Center hasn't posted any updates yet. Metrowest Worker Center is managing the funds for this campaign.